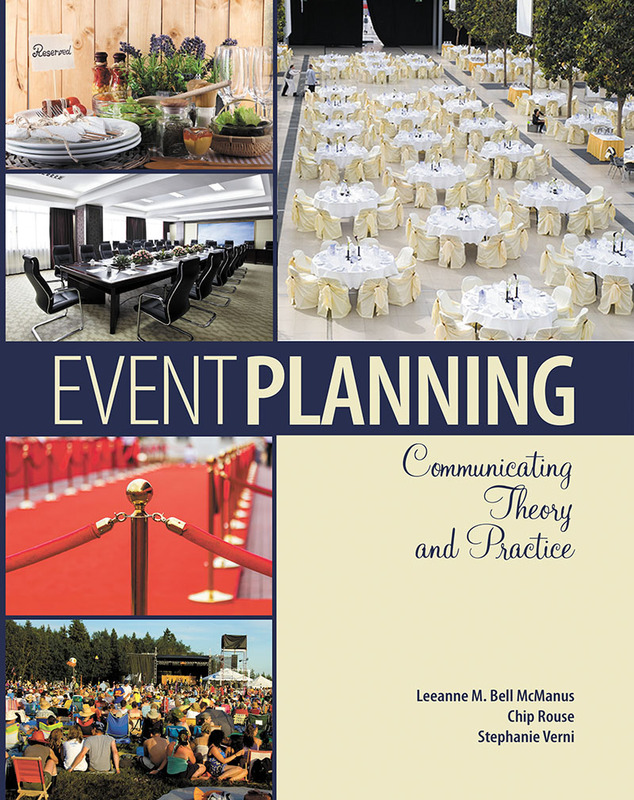 Event Planning: Communicating Theory and Practice offers a unique approach to the topic: through the use of intriguing case studies, the authors connect concepts in communication to practical event planning ideas. Understanding the "why" behind successful events is key to creating the perfect experience for clients. With a solid basis in communication theory, the text will enable event planners to manage each aspect of the planning cycle with clarity and precision. Leeanne M. Bell McManus (Ph.D., Duquesne University, 2007) is a professor in the Business Communication Department at Stevenson University and the Vice President of the Eastern Communication Association. She has co-authored two books, Communication Ethics Literacy: Dialogue and Difference (with Ronald C. Arnett and Janie Harden Fritz) and Event Planning: Communicating Theory and Practice (with Chip Rouse and Stephanie Verni). She has published excerpts in Integrated Marketing Communication: Creating Spaces for Engagement (with Chip Rouse), Exploring Communication Ethics: Interviews with Influential Scholars in the Field (with Ronald C. Arnett and Pat Arneson), and The Encyclopedia of Social Identity. Dr. Bell McManus has also published in Atlantic Journal of Communication, Choice: Current Reviews for Academic Libraries, Communication Annual: Journal of the Pennsylvania Communication Association, Communication Education, Journal of the Association for Communication Administration, and Review of Communication. Stephanie (Parrillo) Verni, associate professor in the Business Communication department at Stevenson University, instructs writing and communication courses. She serves as the advisor to 47 House, the public relations club for the university, and has served in many capacities on campus, including membership on two academic boards. Prior to working in academia, Stephanie spent 13 years with the Baltimore Orioles baseball team where she worked in public relations, community relations, and then as director of publishing. During her time with the ballclub, Stephanie served on several event planning committees, including the Closing of Memorial Stadium, the Opening of Camden Yards, All-Star Week (1993), and Streak Week in celebration of Cal Ripken’s consecutive games record (1995). She was the editor of the Cal Ripken Commemorative publication as well as the editor of Orioles Magazine. Following her time in baseball, Stephanie worked for the Baltimore Sun as the creative services manager and then subsequently managed her own consulting firm. She is a member of AWP, the Association of Writing Professionals, and ECA, the Eastern Communication Association. Stephanie enjoys writing fiction on the side and has authored two novels: Beneath the Mimosa Tree and Baseball Girl. Chip Rouse, associate professor in the Business Communication department at Stevenson University, serves as department chair of the major and oversees all of the student interns in the department. She has been a writing teacher for 40 years and has served as faculty advisor to the student newspaper at the university for over 20 years. In addition, she has a decade of event planning and management experience as well at a country club in Maryland. She is a member of the College Media Association, the Associated Collegiate Press, the Journalism Education Association, and the Eastern Communication Association. She has Masters degrees from the University of Maryland and Loyola University of Maryland.